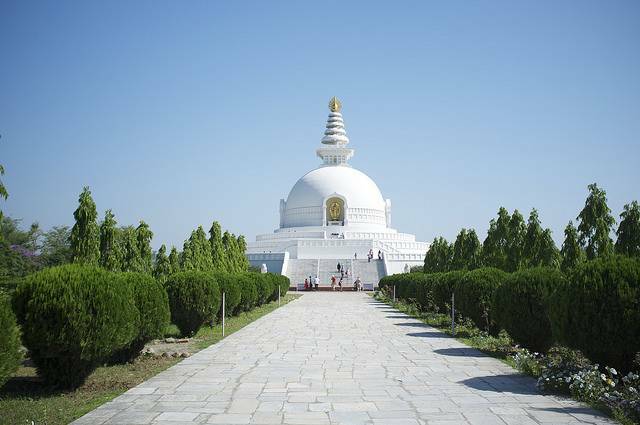 Located close to Lumbini monastic zone, Japanese Shanti Stupa is an impressive gleaming white World Peace Pagoda was constructed by Japanese Buddhists. A walk around the Stupa gives you panoramic view of Lumbini. The golden Buddha statue depicts the posture Gautama Buddha took when he was born.